Enlisted men's branch insignia were stamped in brass and worn on the front of the Jeff Davis (Hardee) hat. It was not uncommon to find them worn on the top of the kepi (forage cap), but this was not prescribed by the regulations. 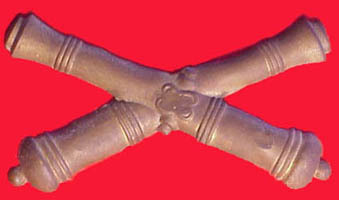 It is unusual for these insignia to be worn on the front of a kepi by enlisted men during the Civil War period. The insignia designs have a long tradition. 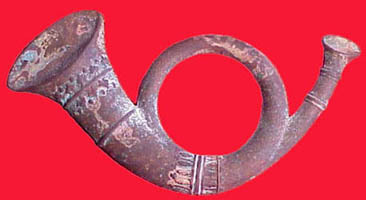 The infantry horn was used as a badge of light infantry in Europe. These troop were used as skirmishers and were raised from persons with experience as huntsmen, hence the hunting horn. 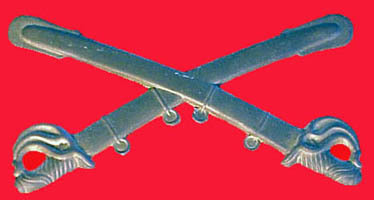 In 1875 this insignia was replaced with crossed rifles. 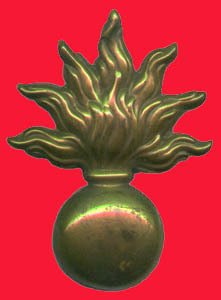 Other insignia worn by enlisted men include a flaming bomb for ordnance and the letters U.S. in a wreath for hospital stewards. 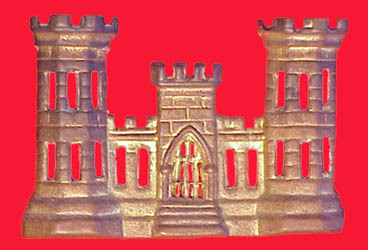 The signal corps, being a provisional service, did not have a Jeff Davis hat insignia for enlisted men prescribed during the war.